Book Mail: All hail the arrival of the new Kopp Sisters book! With an overflowing bucketful of gratitude to Amy Stewart… I was beyond delighted today to get home from a fairly high stress day of work to find a lovely package of goodies waiting for me! 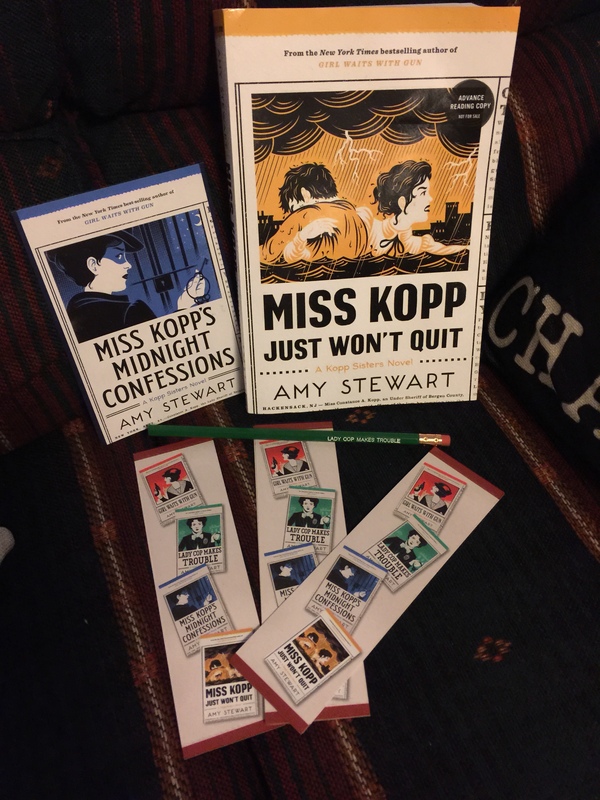 I’ve signed up for the Kopp Sisters Literary Society, and received this amazing swag, including first and foremost, an ARC of the soon-to-be released Miss Kopp Just Won’t Quit. 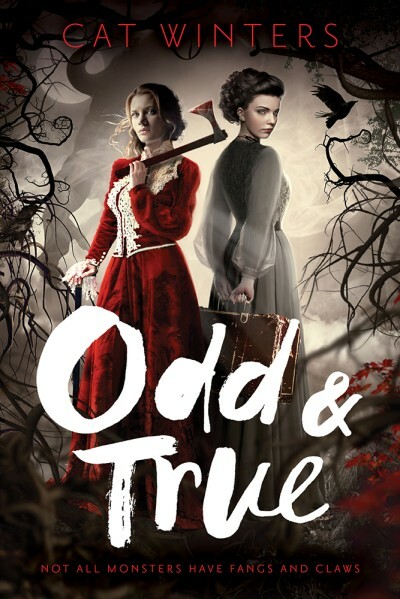 I adore the Kopp Sisters books, which feature some truly awesome female characters based on the historical Constance Kopp and her fierce, funny sisters. Also in the package, I also found a handful of bookmarks (which I’m ready to share — see the bottom of this post! ), a Lady Cop Makes Trouble pencil, a recipe card for “The Midnight” (a signature cocktail), and and introductory letter. Last but not least, the ARC is signed! Not just by the author, but also by Sheriff Heath, who just happens to be my favorite non-Kopp-sister character in the books, and also a historical figure. In both cases, Constance runs instinctively toward justice. But the fall of 1916 is a high-stakes election year, and any move she makes could jeopardize Sheriff Heath’s future–and her own. Although Constance is not on the ballot, her controversial career makes her the target of political attacks. The publication date is September 11, 2018. Are you ready? A quick reader’s note: I’m dying to dive in RIGHT NOW… but have a book club book and a nearly-overdue library book to finish first. But keep an eye out, because I plan to read the newest Miss Kopp adventure the second I’m clear of my bookish obligations, and I’ll post a review as soon as I’m done. PS – The audiobooks are excellent! I adore the narration by Christina Moore, whose voices for Constance, Norma, Fleurette, and Sheriff Heath are just so distinct and full of personality. If you like to read with your ears, these audiobooks are really a treat! PPS – Ask and ye shall receive! 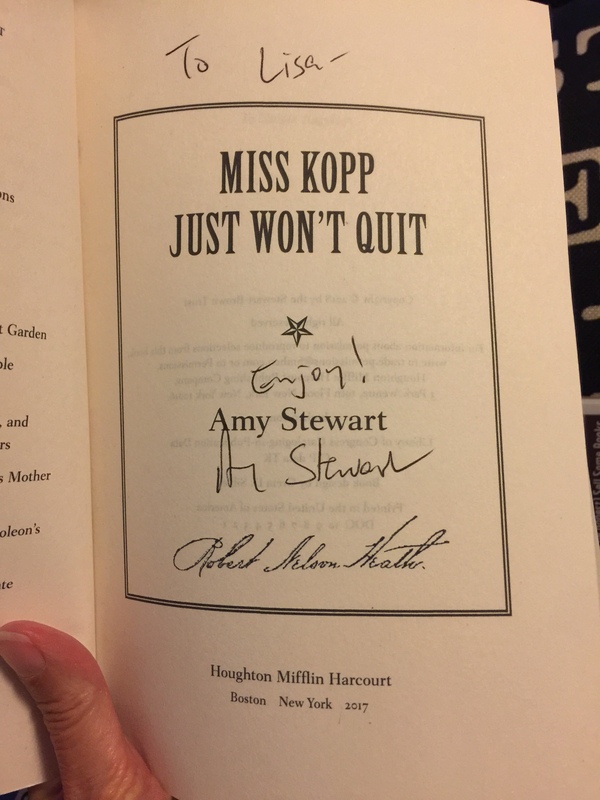 I’ll mail a Kopp Sisters bookmark to the first three people who ask! Be sure to tell me which of the Kopp Sisters books you’ve read and which are on your TBR pile… or if you haven’t read any yet, just assure me that you plan to start! Susanna Kearsley shared this on Facebook today, and my heart skipped a beat! This is the Canadian cover — US version still to come — but I’m just head over heels with the gorgeousness of it all. 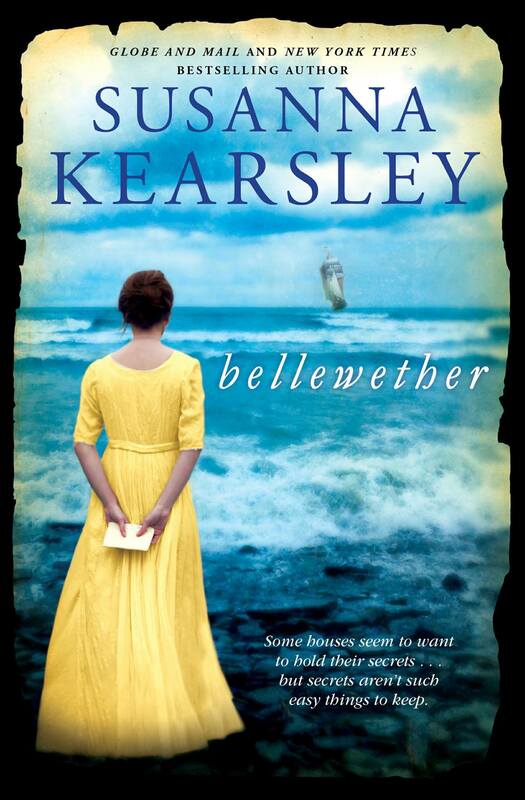 I love Susanna Kearsley’s books, and can’t wait to get my hands on Belleweather! Some houses want to hold their secrets. It’s 1759 and the world is at war, pulling the North American colonies held by Britain and France into the conflict. When captured French officers are brought to Long Island to be billeted in private homes, it upends the lives of the Wilde family—deeply fractured by war. Lydia Wilde, struggling to keep the peace in her family, has little time or kindness to spare for her unwanted guests. Jean-Philippe de Sabran—a French Canadian lieutenant—has little desire to be there. But by war’s end, they’ll both learn love, honour, and duty can form tangled bonds that aren’t easily broken. Their doomed romance becomes a local legend, told and re-told through the years until the present day, when conflict of a different kind brings Charley Van Hoek to Long Island as curator of the Wilde House Museum. Charley doesn’t believe in ghosts. 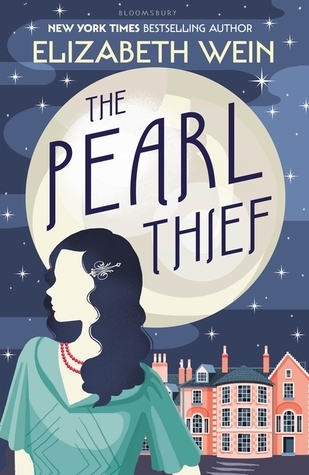 But as she delves into the history of Lydia and her French officer, it becomes clear that the Wilde House holds more than just secrets, and Charley discovers the legend might not tell the whole story . . . or the whole truth. The book is available now for preorder via Amazon Canada, with a release date of April 24th. Sadly, the US release isn’t until October 2nd, 2018. How will I wait that long? If you read my blog from time to time, you may have noticed how often I seem to be reading a Kate Shugak novel. Kate Shugak, for those who don’t know, is the main character in an ongoing mystery series by Dana Stabenow. The series is currently 20 books strong, and the author is supposedly working on #21. How did I get started with the Kate books? I honestly don’t know. Perhaps I picked up the first one due to my obsession with Alaska. Or maybe I picked up book #1 after seeing the series mentioned by Diana Gabaldon in her Methadone List. Either way, something just clicked for me — and here I am a little over a year later, just wrapping up my read of book #10, Midnight Come Again. I started the Kate Shugak series via audiobook, and enjoyed the first several volumes that way until I decided that I really wanted to gobble up the stories at a faster pace than the audiobooks allowed. Fortunately, my local library has kept the hard copies coming, so I was able to get the next book pretty much as soon as I put down the last. I just finished the audio version of this book, and truly enjoyed it. A murder mystery set in the Alaska Bush, A Cold Day for Murder includes offbeat characters, gorgeous settings, politics, greed, snowmobiles, mines, shotguns, roadhouses, and so much more. 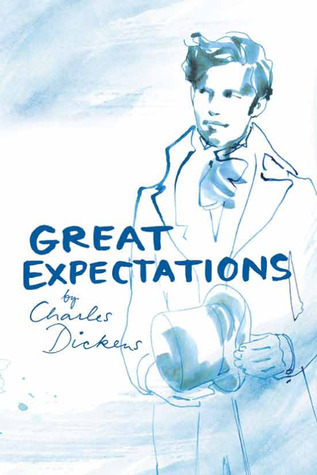 The audiobook narrator does a great job of giving the various characters distinct voices, and the whole story moves along at a fast pace with never a dull moment. Main character Kate Shugak is a tough-as-nails crime investigator with local roots, family and clan loyalties, and an unerring sense of justice and the ability to sniff out clues. 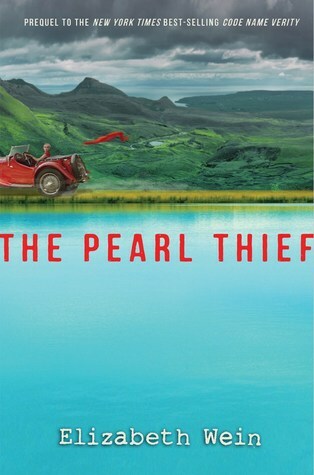 Highly recommended for mystery fans, as well as for anyone wanting a little taste of Alaska. I continued onward, and grew to love Kate herself as well as the sprawling cast of supporting characters more and more with each book I read. Kate is a smart, tough loner, a damaged soul, and a woman committed to justice and truth. She lives alone on a homestead miles from anyone, within the borders of a fictitious national park in the Wrangell area of Alaska. After a brief career in the district attorney’s office in Anchorage investigating horrible crimes, Kate seeks solitude and quiet, with just her enormous companion Mutt — half wolf, half husky — at her side throughout the Alaskan winters. Kate is also a member of a large Aleut family, and her relationship with her grandmother, the domineering and well-respected tribal leader, forms a major theme throughout the books. Kate continually gets pulled back into the world of crime investigation, and each book has Kate at the center of one crime or another, not always willingly. Through Kate’s experiences, we travel the state, from the Park to the Aleutian Islands and Bering Sea, to the oil fields of Prudhoe Bay and the fishing harbors of Prince William Sound. Besides providing an up-close view of the natural wonders and man-made curiosities of Alaska, the books also weave into the story the ongoing corruption, political maneuvering, and favor trading that goes on behind the scenes. We get a crash course in Alaska politics and hot-button issues, like the exploitation of resources, the battle to keep tribal rights to subsistence fishing, the tourist and fishing industries’ impact on local economies, and so much more. Another excellent addition to the Kate Shugak mystery series! Kate herself is a magnificent main character, tough as nails, ultra smart, and with a fierce love for her people and her land. In this book, Kate is hired to investigate drug dealing at the Prudhoe Bay oil facility, which means we get to see Kate outside of her comfort zone, in an entirely new setting, but still doing what she does best. It’s a surprisingly nuanced look at the impact of the oil industry in Alaska, as well as a terrific, dangerous adventure. Highly recommended! What’s funny is that I’m not usually a mystery reader. In fact, while I generally enjoy the crime story in each of the Kate books, what truly draws me back over and over again is the people angle. I’ve just really fallen for Kate and the gang — Chopper Jim, Bobby Clark, and the rest of the folks living in and around Niniltna and hanging out at Bernie’s Roadhouse. And, as I mentioned, I’ve got this thing about Alaska. I’ve been for a few visits now, and can’t wait to go back… and meanwhile, the next best thing to being there is traveling there in a book! Damn you, Dana Stabenow! How could you do that? My heart is broken into a million teeny pieces right now. I love this series, but this one is just devastating. NOOOOO. Ahem. That said, bring on the next book! Not to be spoilery or anything, but man, that book just killed me. I won’t say why. Read it yourself and find out! Appropriately, I finished Midnight Come Again just past midnight. It’s one of those books that is best read straight through, even if it means giving up a little sleep. Midnight Come Again is an installment of the Kate Shugak series that’s hard to put down — less for the mystery than for the character development of Kate. The mystery is kind of “meh” in this book — Russian mafia, money laundering, involvement of FBI and state troopers. The personal side, though, is terrific. 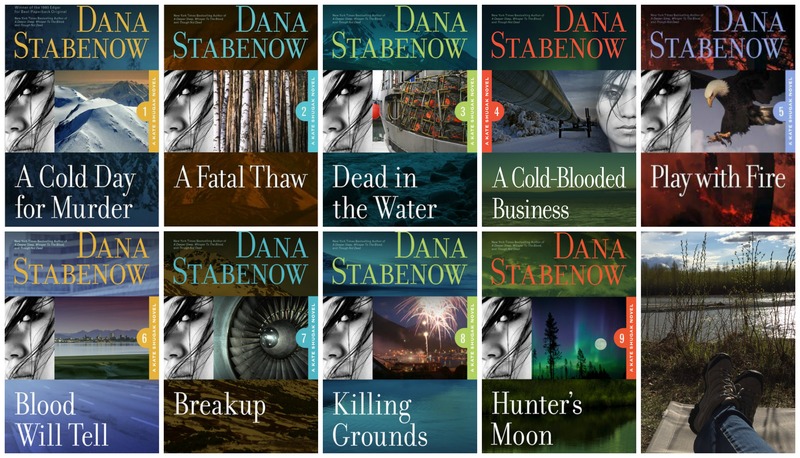 Kate is dealing (not well) with the aftermath of the events from the previous book, Hunter’s Moon — and no, I won’t be forgiving Dana Stabenow for that any time soon! She’s a mess who’s shut down emotionally, living under a false name in the tiny town of Bering. When Jim Chopin — Chopper Jim — gets assigned undercover work in Bering, he’s instrumental in cracking Kate’s shell and helping her start her slow crawl back to life. Kate is an amazing character, and she’s been through hell. 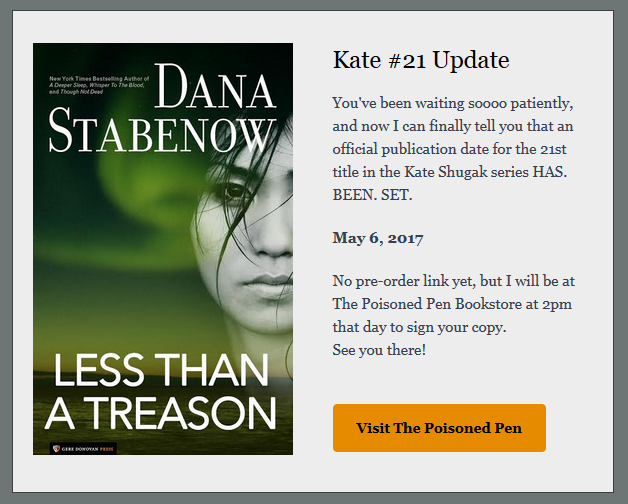 I can’t wait for the next book, and plan to keep reading the Kate Shugak series until I’m all caught up! Of course, I’m going to continue onward with #11 just as soon as my library hold request comes in. Meanwhile, I’m thrilled to have reached the halfway mark… and also, to have finally made it out of the 1990s! I have ten more books to go before I’ll be all caught up (#20, Bad Blood, was published in 2013). I’m not binge-reading or anything. I think of the Kate Shugak books as my reading comfort food (although the last two were about as far from comfort as I could imagine). I like to pick up a volume or two in between other things, both for the sake of getting a long-distance taste of Alaska and for the opportunity to check in with Kate. Kate is one hell of a terrific character, and I’m invested in her life! I want that woman to be happy. Are you listening, Dana Stabenow? Ha, just kidding, don’t worry about me. A happy Kate probably wouldn’t have nearly as much drama in her life. For those of you who’ve read further in the series — don’t tell me anything! For those who haven’t given the books a try yet, consider this my recommendation, yet again. The Kate Shugak books have heart, humor, drama, adventure, an amazing setting, and truly quirky and wonderful characters. Not to mention the odd grizzly bear. Bundle up, light a fire, pour some hot cocoa, and curl up over at Kate’s homestead! I’m absolutely thrilled to spotlight Destiny’s Plan, a brand new release and first novel by Victoria Saccenti. I’ve known Victoria through our online book club for a few years now, and I’m delighted that my friend is now a published author! Please join me in celebrating Destiny’s Plan! Congratulations on the release of Destiny’s Plan! How do you feel, now that your book is out there in the world? Hi Lisa, thank you for the good wishes and the wonderful opportunity to speak about my baby, Destiny’s Plan. Now that it’s published, I have an internal revolving door of emotions. Happiness, excitement, and trepidation are taking turns in and out. I worked for an international airline for many years. During my travels I observed young servicemen, either in groups or alone, journeying back and forth on orders. More than once, I wondered about their lives, their loves, their fears, and their beliefs. The idea sprouted there. Is this a personal story for you? How much of the characters’ lives represent your own experiences? It is not personal, in the sense that I didn’t use anyone I know. For the rest, I suppose all writers inject into their stories topics and themes they’re familiar with. I grew up in a Spanish-Latin environment. I used that as a reference for the interaction and conflict between Raquelita and her mother, Isabel. Why this particular time period? Is there something about the era that really speaks to you? At the risk of sounding a bit schizophrenic, Matthew, a central character in the story, was pretty adamant. He demanded this time period. Have you always wanted to write? This is your first novel — when did you realize that you needed to write it, and how did you get started? I’ve been writing on and off for years. As a child, I wrote fairy stories to act out during playtime. When I was stationed in London, my letters were full of tales about the different regions I visited. I never thought I would go this far. Not until the night when Matthew popped into my head with his story from beginning to end. It was kismet <g> — here comes that theme again — because the next day a friend suggested I should write a book. Here we are today. What does a typical day of writing look like for you? What’s your overall process? After trial and error I realized, my best writing is in the morning. Initially, I tried to write late at night, after coming home from work. What a disaster. The next day I had to delete everything. I need sleep to see the images and scenes clearly. If I’m rested, I hear the characters better, the dialogue is crisper, and I have to be in my cave with the door locked. This doesn’t mean transmission ends when I stop writing. By now my husband recognizes the blank stare, when I’m connected to the other voices. I know you went through a lot of ups and down on your path toward getting published. What words of advice or encouragement would you offer aspiring writers? 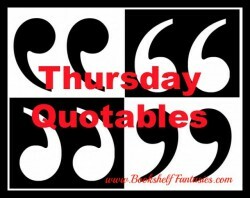 Neil Gaiman’s quote, “Write your story as it needs to be written” doesn’t always apply to the business/ money aspect. 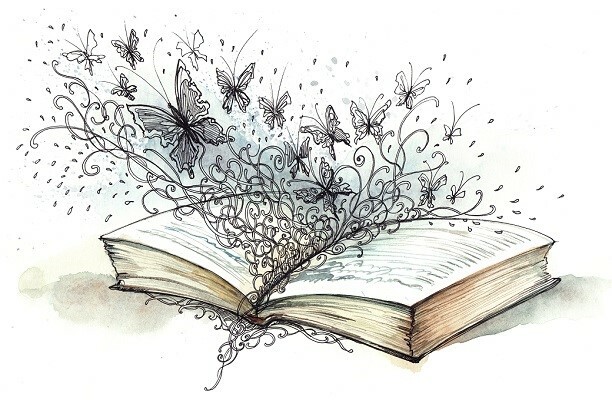 Nevertheless, writing is magical, so I say, hang in there, it takes patience, believe in your book, prepare for rejection, surround yourself with supportive friends – my friends kept me sane. If anyone decides to go Indie, hire a good editor—massive emphasis on the last bit. Despite the challenges, don’t give up on the dream. Persevere for the characters, they’ve sent out an invitation into their world, go with it. Are you working on anything new yet? What will we see next from you? I’m almost finished with Book 2 of the Destiny Series. Marité’s Choice should be ready to roll by spring of 2016. I also have in mind a spinoff story based on Richard, a surprisingly attractive character from Destiny’s Plan. 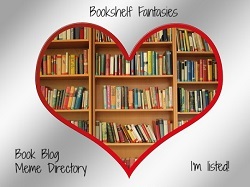 I know you’re a big reader – what are your favorite genres, authors, books? 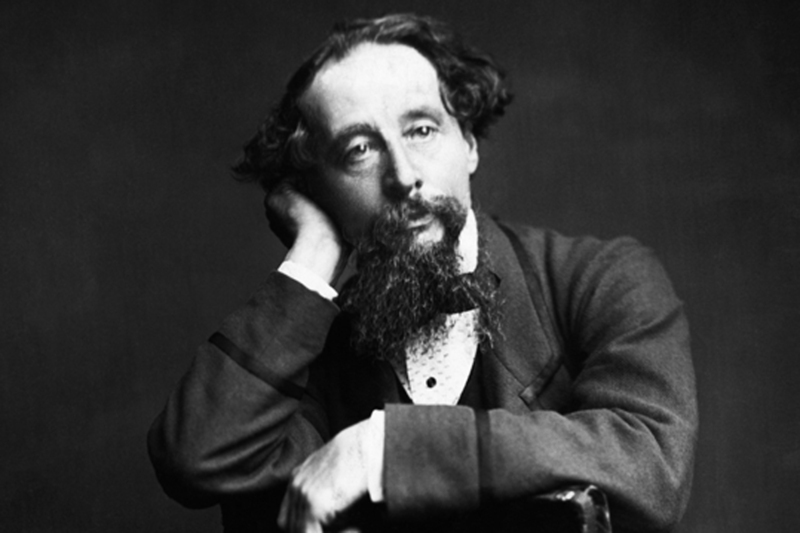 What do you consider the biggest influences on your writing? I am an equal opportunity, avid reader. If it’s good, I’ll jump right in. I’m a total sucker for historical fiction. <g> In that genre, the incomparable Dorothy Dunnett sits way on top, she’s followed by Salvador de Madariaga, Anya Seton, and Diana Gabaldon. I also love magical realism, a la Isabel Allende, Gabriel García Márquez, and Laura Esquivel. I adore Tolkien, Frank Herbert’s Dune series, Ray Bradbury, and the list goes on. I only hope these outstanding writers left an imprint, however small, in me. For someone picking up Destiny’s Plan for the first time, what would you want a reader to know? 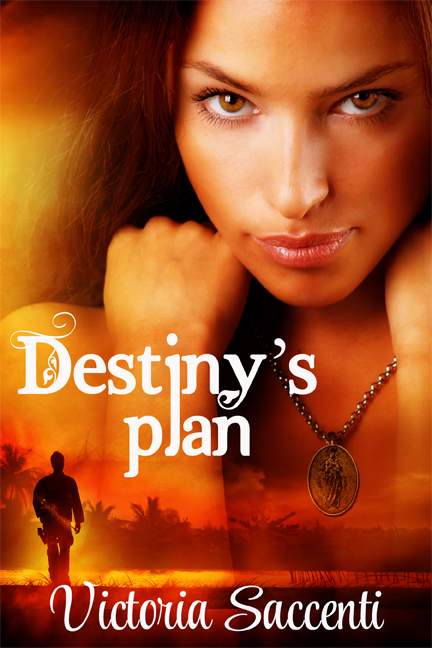 Destiny’s Plan is a story about love in times of war, duty to one’s country, and spiritual growth. Expect a few twist and turns along the way. If you had to use just five adjectives to describe Destiny’s Plan, what would they be? You had to ask. <g> Epic, Romantic, Emotional, Entertaining, Powerful. Please join me in wishing Victoria great success with Destiny’s Plan and the books yet to come! 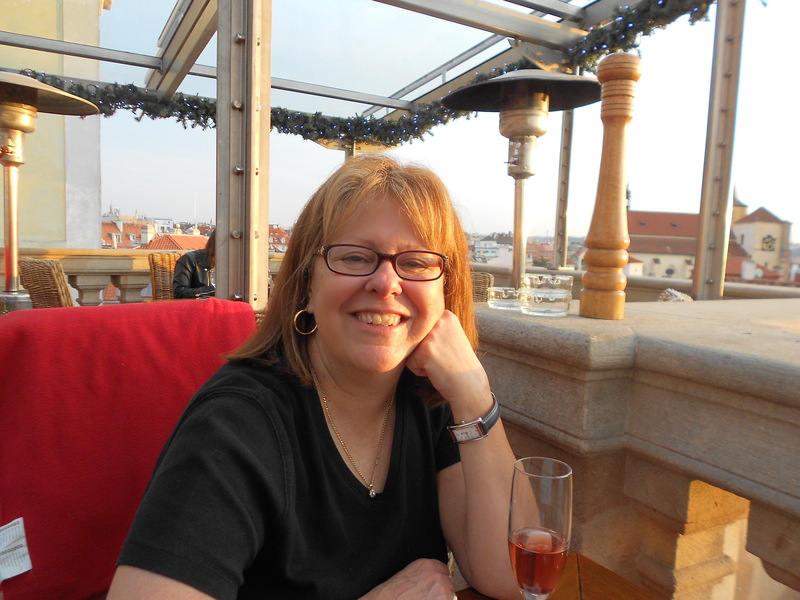 A native of Cuba, Victoria loves writing generational sagas and romances with complex, emotional content. In Destiny’s Plan, the readers travel from stately San Antonio, to peaceful Central Florida, to the jungles of Vietnam, and to the hectic streets of New York during the turbulent 60’s. She is currently writing Book Two of the Destiny’s Series.